After the most recent mass shooting in Connecticut, of course many people found a way to blame videogames yet again for "inspiring" kids to kill people. And of course, these claims are totally unfounded. Videogames do not make kids violent. In fact, with the surging popularity of games over the past twenty years comes the consistent decrease in youth violence since 1993. These arguments against videogames are hedged by people who don't understand the new medium, like they did with rock music in the '60s and rap music in the '90s. But videogames do have an issue with violence. Although I repeat, games don't make kids violent, there are far too many violent videogames. Not because they're a murderous influence on kids--they're not--but because it shows how shallow games still are as an artform. It's easy to see why the casual observer thinks games train kids to kill--because the vast majority of mainstream blockbuster games today are about killing things, and in particular, shooting things with guns. Even if they aren't totally about killing things, they're still about killing things. 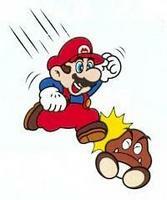 Even Mario is about killing things. Why are so many games about killing things? It's much easier to program compelling gameplay revolving around killing than it is to create interesting gameplay revolving around conversations. And with the history of games intertwined so deeply with "nerd" culture, we can see the appeal. For many socially awkward kids growing up, games are an escape from pressures at home and tension at school. This is why so many games invoke the power fantasy aimed at teenage boys. When it comes to American game design in particular, our history of gun enthusiasm adds to the lust for firearms in games. The first-person shooter genre was invented in the United States, and continues to be the most popular genre in this country. The first-person perspective makes the game more immersive for the player, and it's much easier to put a gun in players' hands than, say, a pen. 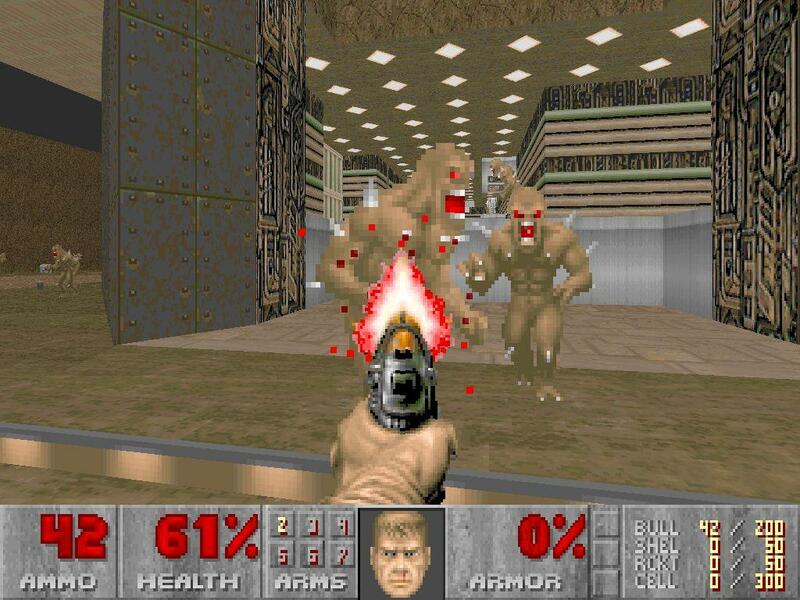 While the FPS gained prominence in the '90s with games like Doom and Quake, they were taken to the next level in the '00s. Halo truly made shooters accessible for the younger console gaming crowd, and the post-9/11 culture of fear perpetuated by the U.S. government and media has made us stick to our guns more fervently than ever. But there is hope. As the medium matures and the average "gamer" grows into an adult, the industry will stop marketing games solely at teenage boys. We're already starting to see a wide variety of nonviolent games aimed at all sorts of people. Right now, many of those games are relegated to the independent scene, but an increasing number have gained mainstream attention. Of course, I'm not saying there's no place for violence in games. Some of my all-time favorite games are about shooting things. But we shouldn't limit ourselves to that. There are classic films about killing, but not every classic film is about killing. There are classic novels about killing, but not every classic novel is about killing. As the games industry reaches its adolescence and grows into an adult art form, we'll see the nonviolent videogame become the standard.